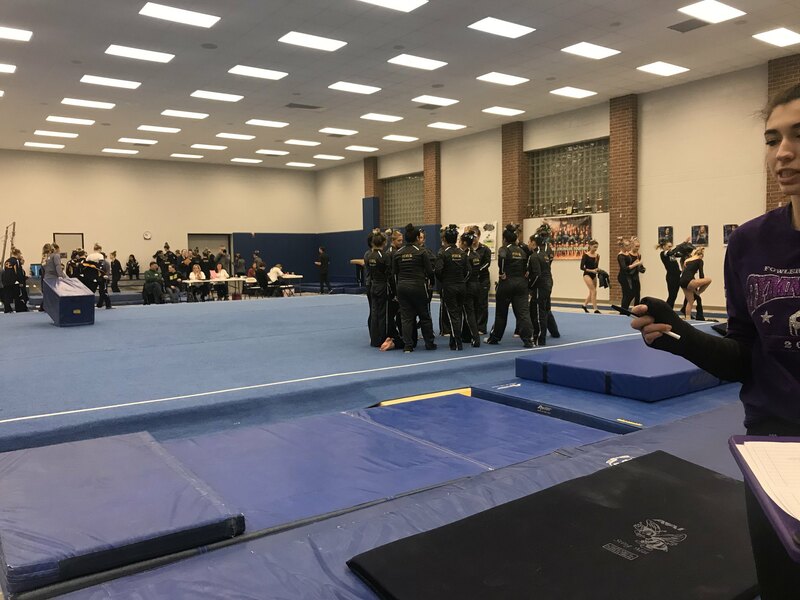 HASLETT - The combined Haslett-Williamston-Bath (HWB) gymnastics team held an invitational Saturday at Haslett High School. There were a total of 11 teams that participated in the tournament. Schools around the district, such as East Lansing, Grand ledge, Mason and others came to compete. HWB had two teams in the tournament, HWB team A and HWB team B. Judges scored the athletes on their beam, bar, and vault performance as well as their floor routine. According to Haslett’s coach Shera Emmons, the team had really good floor routines and vault performance. Haslett Williamston Bath B team placed 10th overall and the A team placed 5th. Their next tournament is Wednesday, January 24 at St. Johns High School.